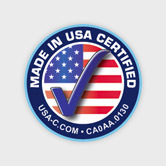 Ultrabed.com we are proud of our seasoned reputation for manufacturing the highest quality mattresses, while providing the industry's best customer service record. 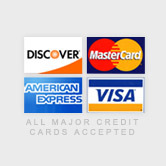 With our manufacturer direct savings, you can purchase one of our premium brand memory foam, latex or specialty foam mattress products at a significant savings over what you will find in the stores. With our specialized custom bedding department, we have also earned our place as America's number-one online custom mattress maker. Now you can pick any size or shape sheet or individual sheets for us to customize for your individual needs. 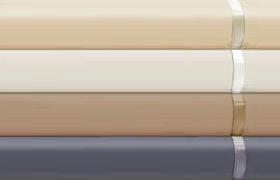 The following products are the illustrated colors that you can choose from for your custom sheets. 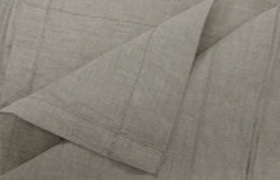 With its elegance and unmatched feel, linen sheets are the material of choice for the discriminating consumer. Our Belgian eco-linen sheets are hand-made in the USA from the world's finest quality long-staple linen. Learn more about our Bella, Royal European and Signature Collections. Fine Egyptian cottons with high thread counts. 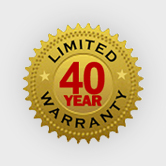 Choose from one of natural down, custom foam, or biogreen memory foam options. Like a down pillow that always comes back to shape! 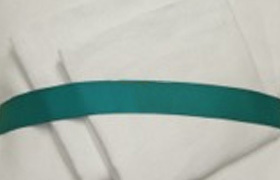 Made from our highest quality biogreen memory foam, and available in King or Queen sizes. This luxurious traditional feather down pillow features an ultra premium white goose down fill that is comfortable and kind to your skin. Get a comfortable and restful nights sleep when you lay on this latex foam pillow. 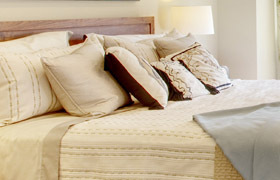 We also offer a multitude of other quality bedding materials. Along with the bedding mentioned on this page we also have many other options available, so give us a call and let us know what you're looking for! Luxurious and ultra comfortable duvet covers are available to add that extra touch of elegance to any bed. 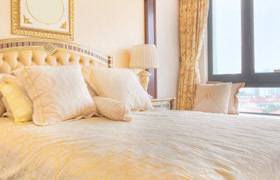 Stay warm and transform your room with a beautiful and elegant comforter. Our unique mattress protector is made with 100% organic cotton that has been knitted into a stretchable fabric which allows the mattress to provide maximum contouring ability for your body. 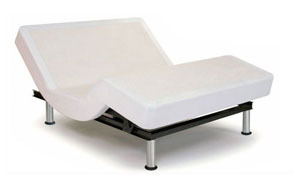 As manufacturers of the finest memory foam mattresses made today, Ultrabed.com also carries elite adjustable bed units. Not only comfortable to sleep on, they're beautifully designed and crafted, as well. You'll take pleasure in any position while watching TV, reading a book or even working on your laptop.